The Ultimate Present is at Hartnagel Building Supply! For sale only at Hartnagel Building Supply, just in time for holiday gift giving! A truly original gift that supports your local high school students. 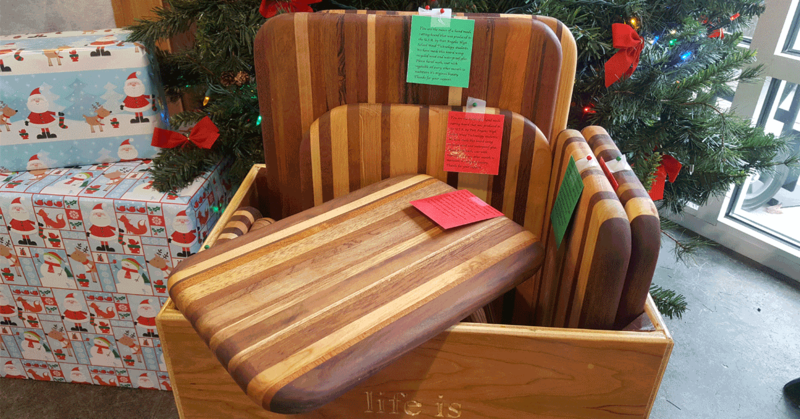 The hand-made cutting boards are finely crafted by the Port Angeles High School Wood Technology Students using recycled wood, water proof glue with no two are alike. 100% of the sales will go directly to the Port Angeles High School Wood Technology program. 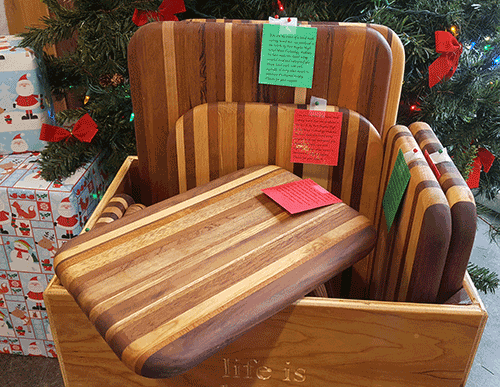 The cutting boards come in three sizes and price ranges so they’re perfect for every budget. Come on in to Hartnagel Building Supply and get yours today because they tend to go very quick!